Designed in association with Barrie and Langille Architects, the new Discovery Centre is now open in Halifax, Nova Scotia. 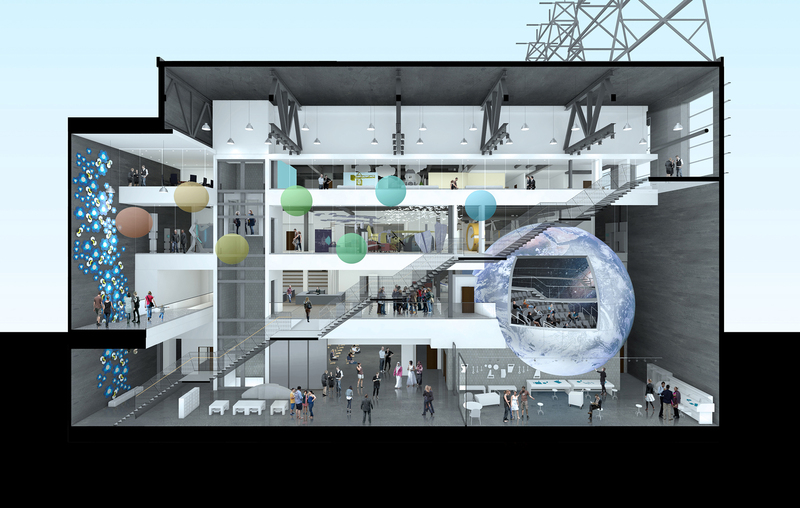 An adaptive re-use of Turbine Hall of the former Lower Water Street Power Generating Station, the three-storey building showcases exploration and learning in the field of science and technology. Containing daily programming, permanent galleries, immersive dome theatre, travelling exhibits and special presentations, as well as annual events and activities for all ages, the cultural attraction adds vitality to the waterfront and emphasizes a connection to the Maritimes by creating thematic indoor and outdoor installations that are both interactive and sculptural.